What could possibly go wrong with Charles attending a vintage wine auction preview? This is the Gotcha Detective Agency after all, and what goes wrong makes Mimi and Charles's head spin. And not from too much wine. 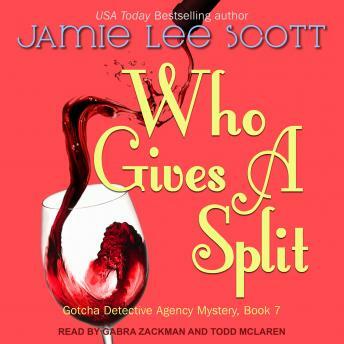 Mimi, Charles, and Nick fall into a twisted tale of wine fraud and murder in this latest installment of the Gotcha Detective Agency mystery series.